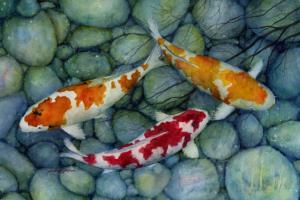 I love painting Koi and am honored to be chosen as the featured artist by Willow Pond Koi Store, Canandaigua, NY. Check me out on their website : willowpondkoi.com. I am their artist of the week!